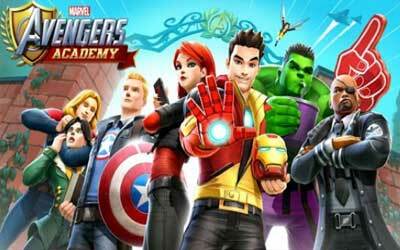 Previous version MARVEL Avengers Academy 1.23.0 apk for Android will help you to downgrade or install older app easily. This is one of the best Adventure apps. But not everything is so perfect in Avengers Academy campus. Suddenly the fog ‘timefog’ mystery surrounds the campus and create anxiety in the campus. It is you who will unravel the mystery of the fog, train superhero and defeat the Hydra. Remember, the main goal remains to defeat the Hydra, it is very important for the superhero that they develop to their highest potential and are ready to undergo any given mission in MARVEL Avengers Academy. Every superhero will also be in your supervision that they participated in various academic activities, sports events, training sessions, and others to prepare them for the combat uniform each. Limited-time Pet Avengers event begins! Battle Tiger Shark, Fin Fang Foom, and the Lemurians! Unlock Hairball, Howard the Duck, Firebird, Throg, and more! Another great game from TinyCo! A few small bugs here and there but I know the team is on it in terms of fixes. Avengers Academy is definitely a game I’ll be playing everyday. Great job.